Our goal is to connect people with the best local experts. 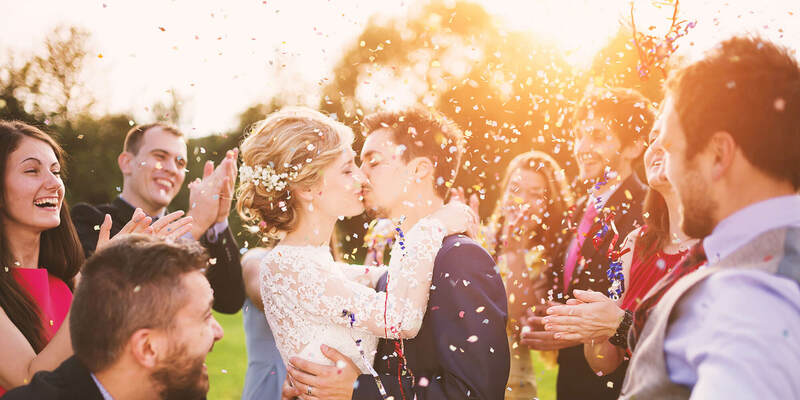 We scored wedding photographers on more than 25 variables across five categories, and analysed the results to give you a hand-picked list of the best wedding photographers in Buena Park, CA. Dan and Tyler Photography is a Fountain Valley business that provides wedding photography, senior portraits, and family portraits. Dan and Tyler’s wedding packages include six, eight, or 10 hours of coverage, two photographers, retouching, access to an online gallery, and two packages include an engagement session. À la carte options include canvases, prints, a photo album, a print box, and an engagement session. Portrait packages include one or two hours of coverage on location, two or more outfit changes, and access to an online gallery. One of the family packages includes 20 prints. Clients remark on their dynamic, attention to detail, suggestions, punctuality, dependability, efficiency, and knowledge. Orange County couples have come to know Ed Pulella Photography as the finest choice for romantic, professional wedding photos. The photographer grew up on the shores of Lake Cuomo, Italy, and has a unique and artistic style that makes each image look like a moment in a fairytale, full of soft, muted colors, warm light, and the power of true, unending love. Whether customers are planning a five-star wedding or a quick and intimate elopement, the photographer is proud to be a critical part of the special day and has a range of packages and prices to fit every couple’s needs, including international rates for destination weddings. Each wedding package includes a complimentary engagement shoot, an online viewing gallery, and an amazing selection of finished images to cherish for generation to come. Encor Studio is a photography business servicing the Southern California area. In addition to traditional photography, Encor Studio offers wedding and engagement cinematography, videography, photography, and commercial film for local and international destinations. Encor Studio's team of creatives specialize in modern, documentary-style, and artistic photography and videography. This photography company offers exclusive packages and can create a customized package to fit each client's needs. Customers often highly rate Encor Studio's professionalism, high-quality products, value, and friendly staff. Encor Studio has won vendor awards for TheKnot's 2017 Best of Weddings and WeddingWire's 2017 Couple's Choice Awards. With over ten years of experience, John Paul Prado has been providing photography and videography services for weddings in the Los Angeles, Orange County, and surrounding Southern California area. His services boast five-star ratings across Facebook, Yelp, The Knot, and WeddingWire. Typically, his wedding package offers 2 Photographers for 8 hours, an Engagement Session to get comfortable, Unlimited photos throughout the day, Digital files (retouching included/no watermarks), an Online gallery for 3 years, a Guaranteed 100 edited photos per hour, Full rights photos delivered via customized thumb drive, and travel throughout Southern California. Additionally, he offers a videography package that covers the wedding as well as a fun photo booth add-on. Katherine Rose Photography is based in Southern California and available to photograph weddings worldwide. They are committed to providing quality wedding photography in both film and digital formats. Photographer Katherine Rose and her husband Christian photograph weddings together as a team. They know that the purchase of a wedding photography package is an investment for the future that will forever allow clients to look back on their special day. Katherine Rose Photography customizes wedding photography packages to meet the individual needs of each bride. All packages include two photographers, a gallery of high-resolution photographs, and a release for client prints. Kimberly April Photography is a professional photography studio serving the community of Huntington Beach, California and the surrounding area. Established by photographer Kimberly April Roberts, this studio specializes in wedding, portrait, and event photography. This studio employs a photojournalistic and traditional photography style. This studio also offers a range of additional services including engagements, boudoir, maternity, newborns, families, and high school seniors. Kimberly April Photography package prices range between $3000, and $4895 creates a unique wedding photography collection for every couple. Clients highly rate Kimberly April Photography for her attention to detail, willingness to accommodate a variety of circumstances, friendly demeanor, professionalism, and high-quality photography.